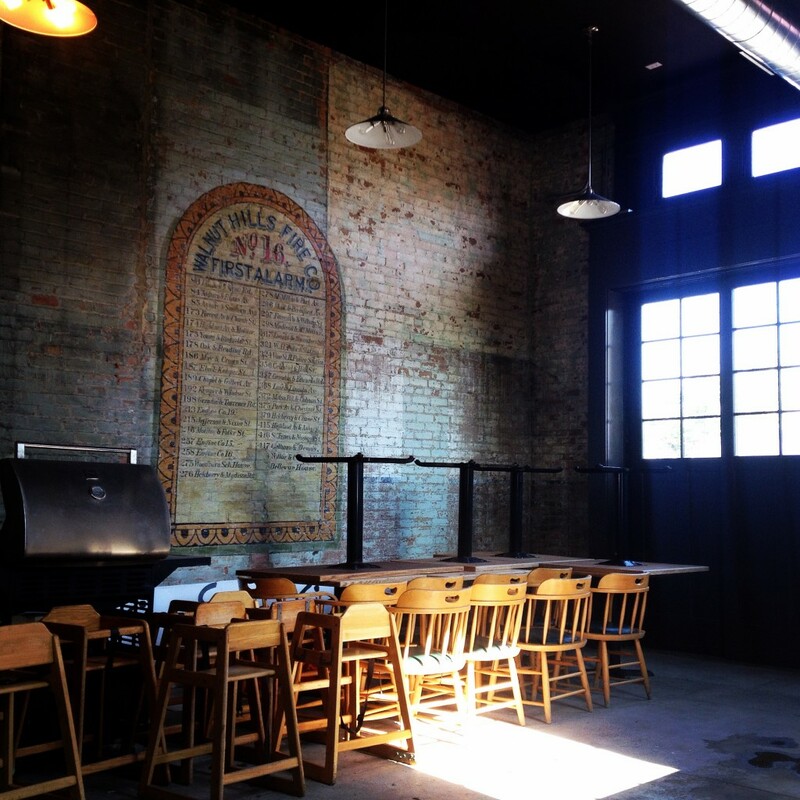 Fireside Pizza Grand Opening to be at the Cincinnati Street Food Festival! It may feel like it’s been forever since the construction first began at the firehouse, but we can finally tell you that Fireside Pizza will have its grand opening on September 27 – the day of the Cincinnati Street Food Festival!. A very fitting first day – Fireside Pizza has been a part of the Cincinnati Street Food Festival since the beginning, and we’re thrilled that they’ve found a permanent home in Walnut Hillls! The firehouse is full of history. Fire Company 16 is the oldest standing firehouse in Cincinnati. It was closed down in 1977 after it caught on fire while the firefighters were out on a call. For years, it sat vacant. Until one day, a car drove into the side of the building. For years after that, it sat vacant with a hole in its side, a sagging, leaking roof and boarded up windows. Now, thanks to hard work from Max Construction Group, the Hardman Development Group, WHRF and the Fireside Pizza guys, Firehouse 16 is again ready to shine. The restaurant will be open from 11 am to 11 pm (although the closing hour might be flexible if people are having a good time!). They’ll serve their amazing, delicious incredible wood fired pizzas. Fireside will also offer a variety of craft beers with four on tap for a total of about 30 different beers. Not a fan of craft beers or the impact they have on your wallet? Not to worry. Fireside will always have a $1 beer on hand. Currently that beer is cans of Hudy Delight. So, put Fireside Pizza on your list of “must go” restaurants! We’ll see you there on September 27! ← Youth Ambassadors had a great summer!